Well like with a lot of my "Random Album Reviews," I am not that big into the band. This goes the same for Amon Amarth. I have listen to some of there stuff and I really liked it; I have even seen them live. 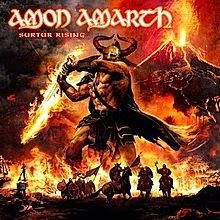 Favorite song by the is "Gods of War Arise." But this album is great. From the opening slide of the guitar in "War of the Gods," the listener knows that they are about to listen to something great. This album has a mix of songs that go straight into it and songs that have a little build up in the beginning. In "Destroyer of the Universe" it has about a 3 to 4 second build up. You might think that 3-4 seconds isn't that long but for this song it is perfect. I like one of my favorite riffs is in the song "Slaves of Fear." I just love the intro to that song. Overall this is a very solid album. It is great from start to end. Instruments sound just amazing and the vocals sound really good. The production on this album is really good as well. US-based prog rock/metal outfit CORSAIR have released an trailer video for upcoming Shadow Kingdom Records release One Eyed Horse. Check it out at this location. One Eyed Horse is scheduled for a January 2015 release. The video documents the brief but diligent sessions at the White Star Sound studio, located on a beautiful rural farm in central Virginia. It serves as a window into the making of the album with in-studio footage coupled at times with raw audio of the basic tracks straight from the board. Artfully done by CORSAIR's friend and colleague Matthew Gatto, it's a short glimpse designed to drum up interest and promote the album preceding its release. 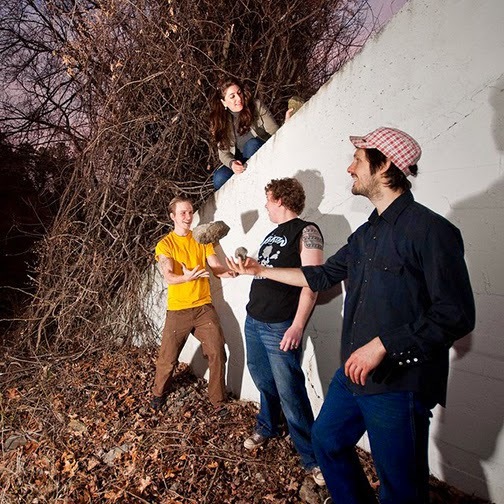 CORSAIR are a heavy, dual guitar driven band based out of Charlottesville, VA. Active since 2008, with two EPs, one full length and upcoming full-length One Eyed Horse to be released by Shadow Kingdom Records. This past year has been particularly busy with studio time in December '13 and January '14, a European tour February through March, and the late spring/summer spent mixing and mastering. Onward we go! I am going to try to be nice with this review, but I don't see how that is possible. There is just too much going on in this songs. It really does sound like they just get a lot of random instruments together and just started playing. I mean there is a reason why they don't play any of this songs live any more. 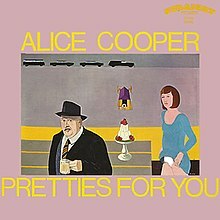 But lucky this is not the what Alice Cooper is known for. I am a fan of Alice Cooper, I wouldn't say a big fan. I know a lot by this band. And I am happy they changed there sound. This really gave me a headache listening to this album. The only thing I can think of that is positive is that on some parts of the album the guitar sounds pretty good. At some parts it has a nice old school rock feel to it. But then it goes to crap. THIS IS THE 300TH POST!!!! If you were to tell me that a former Keyboardist for Dream Theater started a solo project I wouldn't think twice about it. Then you tell me that the Keyboardist got some of the best guitarist around to play with him; throw in a basses that has been in so notable a bands and then a beastly of a drummer. Now you have my attention. The guitarist that I am talking about are Zack Wylde (Black Label Society and Ex-Ozzy Osbour/ne), Yngwie Malmsteen (Ex-Steeler, Ex-Alcatrazz, and a solo project of the same name) and Al Di Meola (Solo project of the same name). And have Simon Phillips on drums who has played for a ton of bands. This a good combination on its own. But then make it a instrumental album and you have all of the musicians really shine. I couldn't really tell if the sound was broken up until about half way into the song with Al Di Meola played a little acoustic part. But still a really solid song. Then come "Nightmare Cinema" with one of my favorite guitarist playing, Zack Wylde. He has the sound that when he plays you just know it is him. And I love how when he played on this album that he didn't try to change that. Now I know what you might be thinking, "If Zack Wylde and Yngwie Malsteen are on this album together do they do a song together?" The answer is "Hellyeah they do!" With the beast of a song too, "Axis of Evil." They are trading off solos. And with both of the signature sounds it is easy to tell which one is playing. I am not giving that much credit to Steve Lukather (Guitarist) and Tony Franklin (Bassist). They both do a really good job in this album. Tony has some really good bass parts. And Steve plays in 3 songs (Stony Days, Starcycle, and Sweet Lament) Three pretty good songs. Overall the keyboard doesn't take too much from the guitars and the guitars don't take too much from the keyboard. Pretty much a perfect mix of all the instruments. It know no wounder why this is his top selling solo to date. It is just good. Now I know what some of you are thinking, "Oh great another Death Metal band that is going to sound the same." Normally I would agree with you. But this band is not just a normal Death Metal band. Sure you can hear the Death Metal influence but there is also a Doom Metal influence in there as well. Now I know that there is a genre called Doom Death Metal, or something on the lines of that. And I have to say this might be the first album I have listen to of this type of genre (Even tho the band says they are just Death Metal). What I like about this album is that it had the Death Metal sound and it was in your face; but it wasn't one of those albums that was fast the whole time. There were songs that had build up and slow parts to them. I really like that in an album; where you are expecting to all sound the same then they change it up on you. The opening track, "i.d.t.n. ", starts off slow, even has a piano in the background, with sorta soft spoken lyrics going on. The opening track lead straight in the second track, "One Death," the drums start to kick over this awesome riff. Listening to this first track I thought to myself "Are they sure they are a Death Metal band?" But right I thought that the third and fourth track, "Arisen From Failure Perished As King" and "Tod & Teufel,"started to play and then there was no denying that they are a Death Metal band. The lead singer has a great voice and mixes so while with the Death/Doom sounds of the instruments. The overview of this album said that "...Tod & Teufel is catchy, classic, melancholic, dirty and brutal but contemporary Death Metal..." I would have to agree with this statement. I believe that there will be a lot of Death Metal fans that will enjoy with albums. 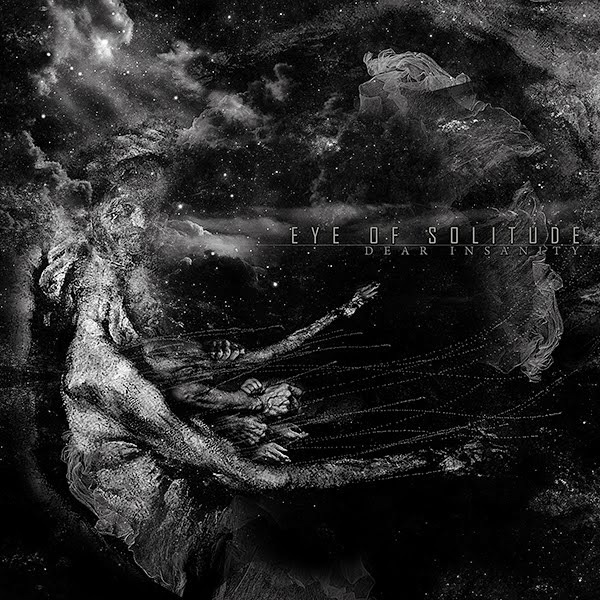 Kaotoxin Records has announced worldwide release dates for EYE OF SOLITUDE limited collector EP Dear Insanity. Featuring one mammoth 50-minute title track, the EP will be available in France on November 24, the rest of Europe on December 2, and in North America on December 3. The album is available as a limited-edition (500 copies at first press), hand-numbered double digi-CD, featuring six bonus tracks taken from the band's 2012 & 2013 digital EPs - Awoken by Crows and The Deceit - and as a digital download. A video trailer for the EP can be viewed at this location. EYE OF SOLITUDE have always explored new territories. The journey includes the monolithic yet at times Gothic Metal-ish Sui Caedere; the Dante's "Inferno"-based theatrical play of Canto III (Kaotoxin's best-seller to date! ), 2013 EP The Deceit, which featured guest vocals by both WE ALL DIE (LAUGHING) vocalists Arno Strobl (CinC / Carnival In Coal, 6:33) and Déhà (COAG, Maladie); and now Dear Insanity, which sees the band entering the darkest part of their desolate world for a 50-minute funeral veil of misery, agony and loss. The loss of loved ones, the loss of sanity, the feeling of being lost in a mental labyrinth to which the only exit is to become mad to appease the suffering with all the anguish, anxiety and pain it involves. What if the only options infinite pain or the complete loss of one's mind? There's no light, no hope. There's no way out. Never has the "Solitude" portion of the band's name been so well musically represented. Dear Insanity is a transformation, a passage, a slow-motion fall from the celestial grace into a bottomless downward spiral to the most abyssal darkness. Dear Insanity is recommended for fans of SKEPTICISM, ESOTERIC, and KHANATE. Zero Tolerance has debuted the brand new video from German Death Metallers ARROGANZ. 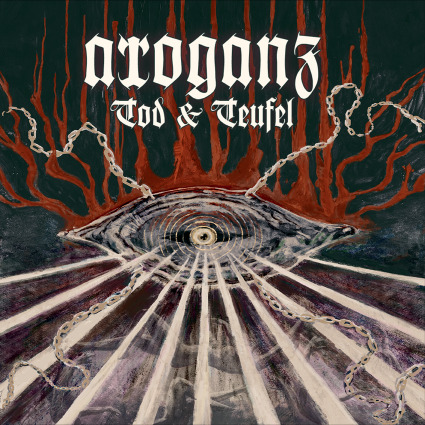 The song "Arisen from Failure, Perished as King" is taken from upcoming FDA Rekotz release Tod & Teufel. Check out the video at this location. Tod & Teufel will be released on November 11. 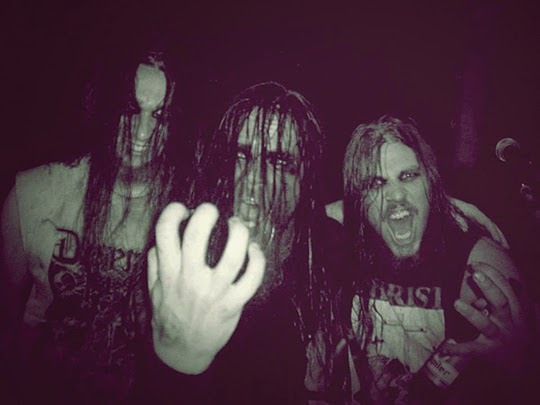 The group's third album is death metal that is catchy and classic, brutal and contemporary all rolled up into one mammoth package of sheer audio bliss. Listeners can expect a harrowing descent into ARROGANZ's morbid underworld. Tod & Teufel was recorded at The Dark Depths of Cottbus Studio, mixed by Timo Rotten (Spitfire Productions), and mastered by Lasse Lammert (LSD Studio). The artwork was created by Misanthropic Art. Album track "One Death" is streaming at this location. Pre-order info can be found at www.fda-rekotz.com. Well I have to say that this album really surprised me. I was going into this album thinking that is was not going to sound good. It did sound a little dirty but it works so well with the vocals. 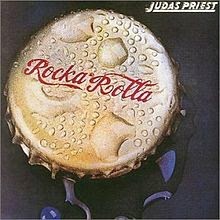 But I don't know if this album well be more attracted to Metal fans who listen to Punk or Punk fans who listen to Metal. All I know is that I really enjoyed listening to this album; even tho it is nothing really new. 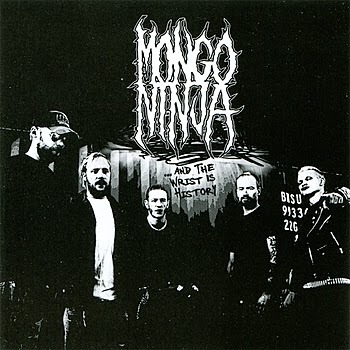 It has a heavy Punk really with a lot of Metal influence. But I am going to say that this is going to be more towards Punk fans who listen to Metal, granted I don't listen to that much punk. After saying that I think that this could attracted some Thrash Metal fans. If has fast pace and really fast solos. Maybe change everything and call the album's genre Punk/Thrash Metal. Over all this is a pretty good album. This is just there first album they have two others, which I look forward to listening to. But after saying all that stuff, I do not like albums that are full with just short songs. There are 4 out of 13 songs that are at 2 minutes or more. Granted this is a personal taste of mine. And so of the songs I just feel like ehhh at the end of them. Favorite Songs: Brother, Band Aid on Cancer, Gillar Ni Boogie? 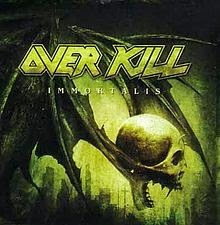 I would like to start off saying that I am not a big Overkill fan, I did like the new album that they put out. But over all I have not gotten into them that much. After listening to this album that is going to change. The album has a real clean sound to it. Not like a lot of Thrash Metal bands have. I don't know if the rest of there albums sound this good, but I am going to find out. If you are someone who is not that big into Thrash Metal I feel that you will still like the sound of this album. The instruments have a great sound to them; some really good solos to listen to in this album. Having said those good things, I would like to say if you think all Thrash Metal sounds the same then you might not like this album. Even tho it is a solid album it doesn't really bring anything new to the table. It feels like (This coming from someone who hasn't really listen to them, so I could be wrong here) that they did what the know, Thrash Metal, and they did it well. Take that as a good thing or a bad thing. Edmonton, Alberta Black/Death Metallers DIRE OMEN have teamed with BraveWords.com for an exclusive stream of new song "Onward with Wounds of Disillusion." The track comes from Dark Descent Records release Wresting the Revelation of Futility, which will be available for mass consumption on November 12. Listen to the song right friggin' here. The album will come housed in an upgraded stock digi-jacket with a poster fold out that includes lyrics. Let's all revel in it. Get in touch at clawhammerpr@gmail.com to experience the macabre madness. Pre-order Wresting the Revelation of Futility at this location.